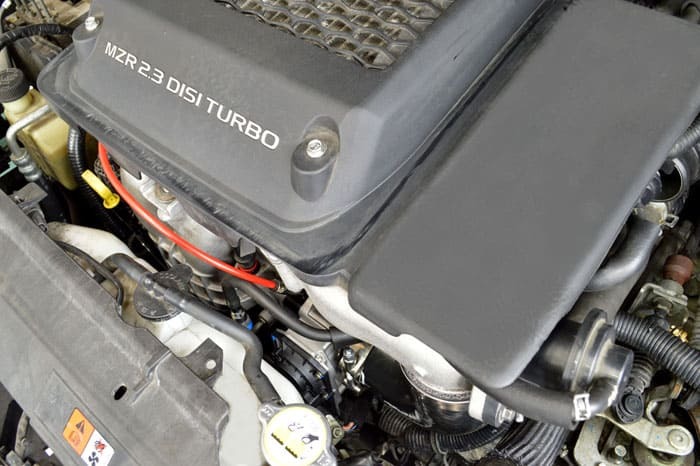 Features include three ports that can all be easily used with a variety of nozzles, intake manifolds, and throttle bodies, a clean black anodized finish and an O-ring for easy sealing. Read on for more details and specs. 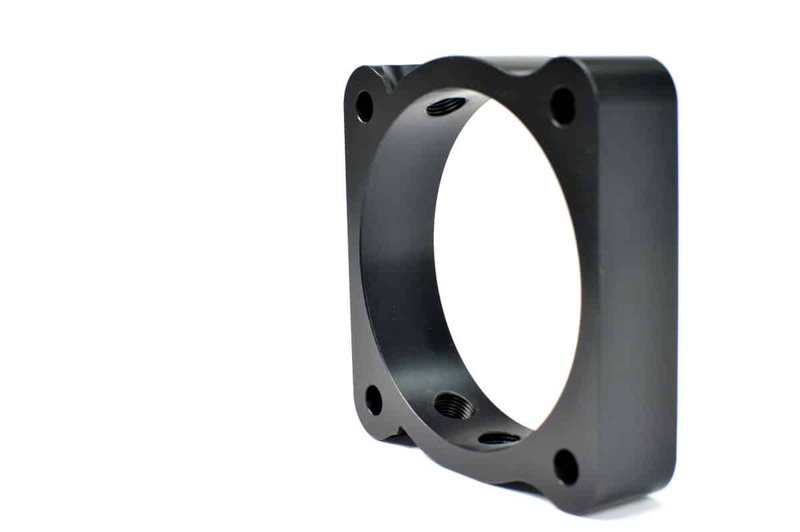 The CorkSport 72mm Throttle Body Spacer was designed to be as easy to use as possible. Atypical methanol port locations were chosen in order to maximize accessibility. Even though this means less total ports, each port can be used at all times, even with an OEM intake manifold. This also gave the CS throttle body spacer a lot of versatility to work with most methanol nozzles on the market. The spacer utilizes an O-ring for sealing against the intake manifold for a worry-free installation. 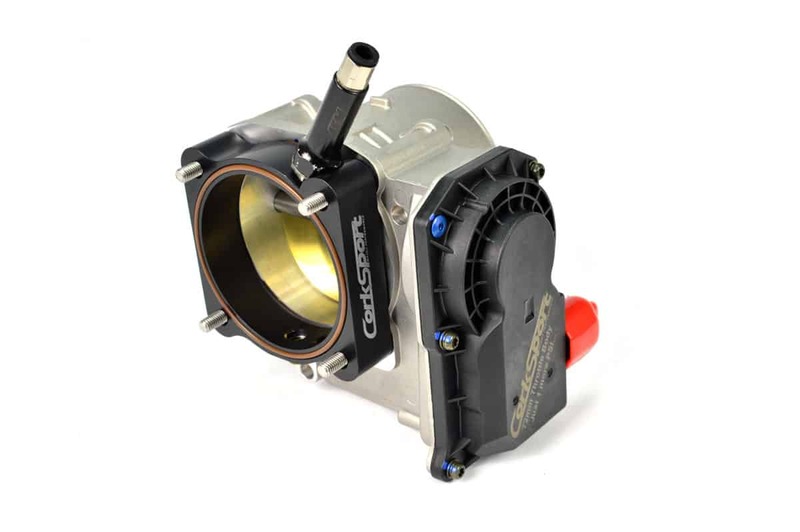 The throttle body side of the spacer can be installed with either the OE gasket and OE throttle body or the CorkSport Throttle Body which also utilizes an O-ring for sealing. 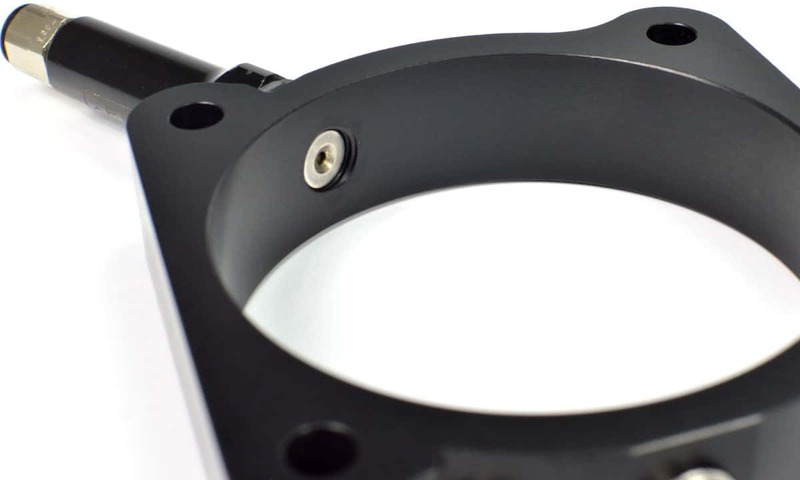 Like the CorkSport Performance Throttle Body, the inside diameter of the throttle body spacer was chosen to be 72mm to maximize the size that would work with the OEM throttle body bolt pattern. This allows for the most peak airflow possible. 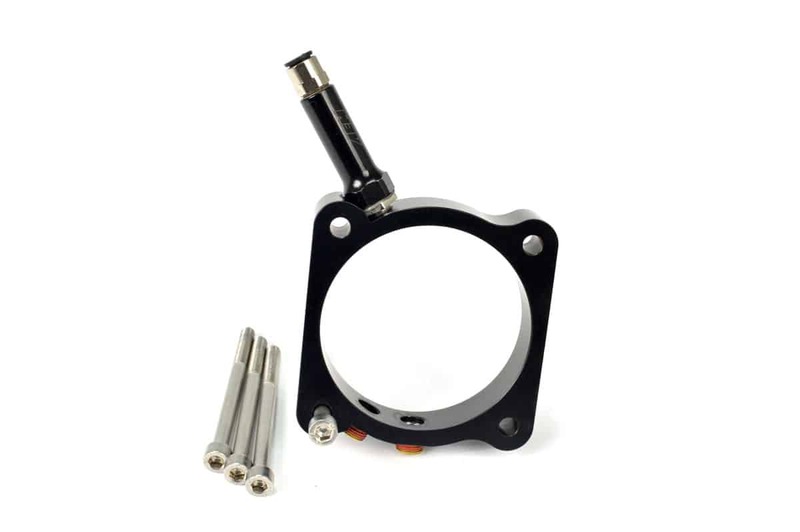 In addition, this makes the CS throttle body spacer a perfect fit for most upgraded aftermarket intake manifolds as well as the CS Throttle Body upgrade. The methanol nozzle location thickness was carefully chosen. While seemingly insignificant, by putting the nozzles flush with the inside surface of the spacer, we gain slightly better airflow through the spacer due to the lack of obstructions but retain great nozzle spray characteristics. Each CorkSport Throttle Body Spacer is precision machined from billet 6061-T6 aluminum that is post-anodized for a great look and fantastic durability. A CorkSport logo is laser etched to finish off the spacer. Brass Pre-Sealed NPT plugs are included to block off the two ports that are not in use. Finally, stainless steel hardware is included to replace your too-short OEM throttle body bolts & make for an easy install without the need for a trip to the hardware store. The CorkSport Throttle Body Spacer has not been test fitted with every intake manifold & intercooler piping option on the market. Fitment may vary. Front mount cold pipe/silicone modification may be required for fitment. Early Mazdaspeed 6 with TMIC & cast cold pipe elbow cannot be used. Sourcing and use of later version MS6/MS3 cold pipe is required for installation. 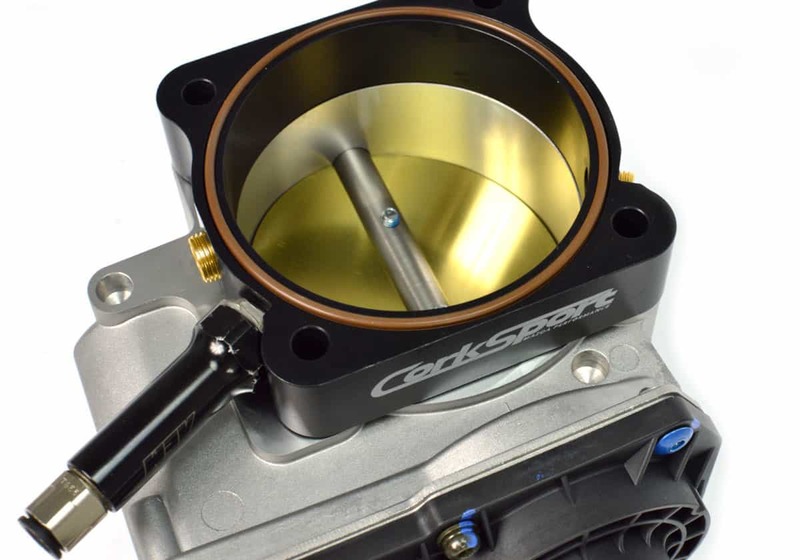 The use of a new OE throttle body gasket is recommending is using an OE throttle body. It will take you two hours to install the CorkSport Throttle Body Spacer with our easy-to-use instructions.